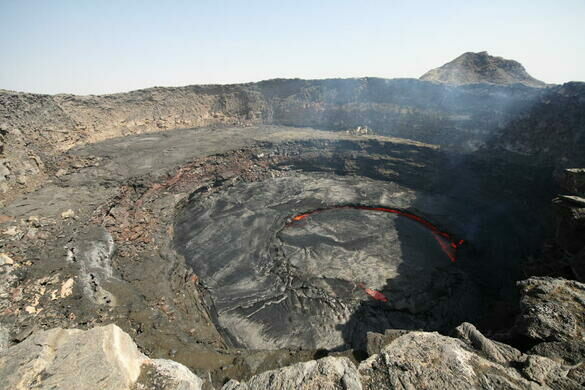 Located in the Danakil Depression (or Afar Depression) in the Afar Region of northeastern Ethiopia, Erta Ale is one of the driest, lowest and hottest places on earth. Temperatures during the year range from 77°F to 118°F. The area is beset by drought, bereft of trees, and has little in the way of roads. 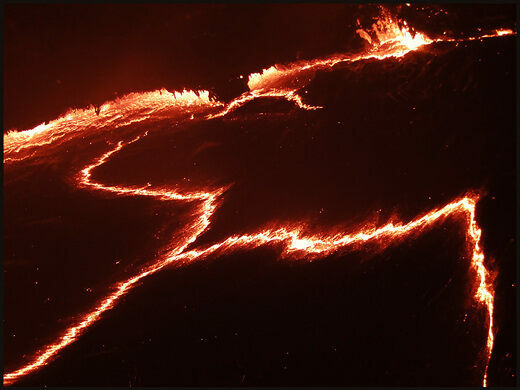 Known by the Afar as the “smoking mountain” and “the gateway to hell,” Erta Ale is a 2,011-foot-high constantly active basaltic shield volcano. 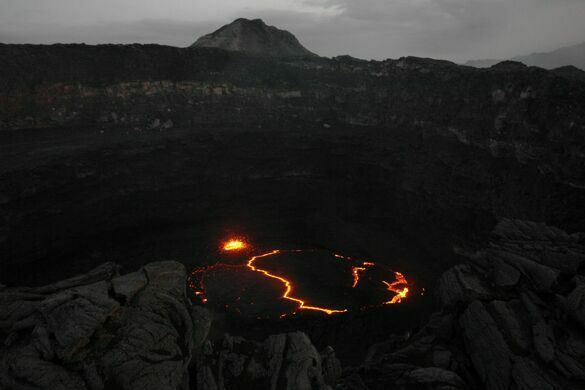 It is one of only a handful of continuously active volcanos in the world, and a member of an even more exclusive group: volcanos with lava lakes. 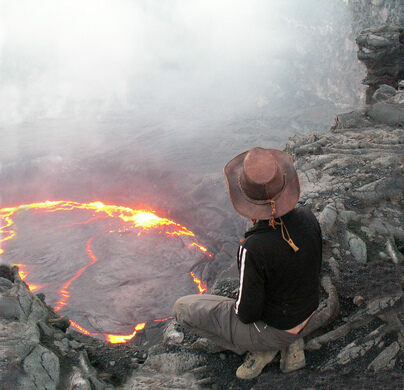 While there are only five known volcanos with lava lakes globally, Erta Ale often has two active lava lakes – making it a unique site. 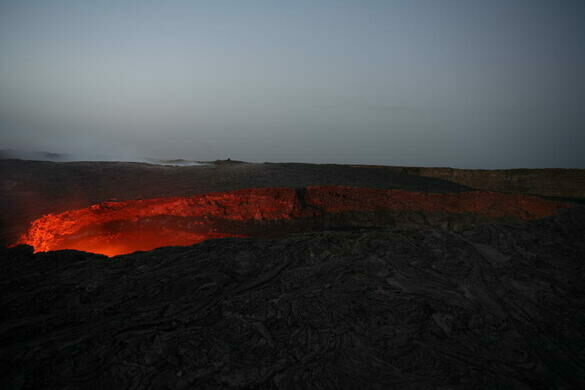 Erta Ale was discovered in 1906, making it the longest-known lava lake. 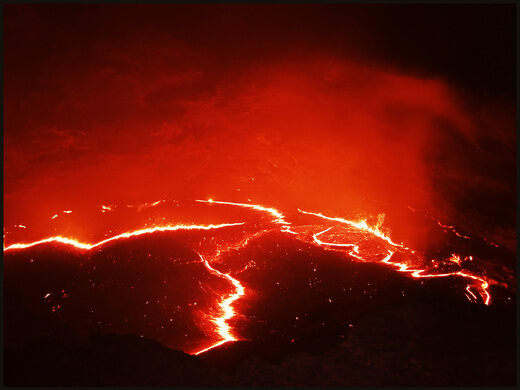 For a lava lake to exist, the surface of the lake and the magma chamber below must form a constant convecting system, or the entire thing will cool and solidify. 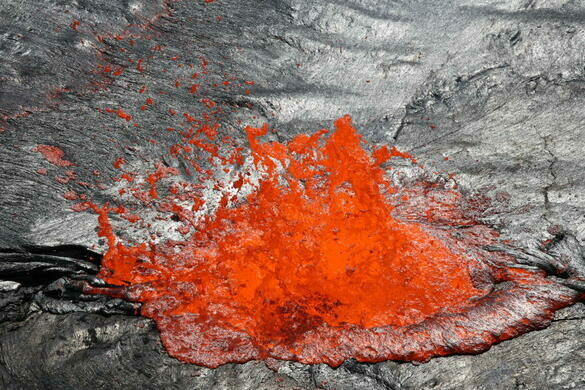 Beneath the ground surrounding Erta Ale is an enormous pool of active magma. 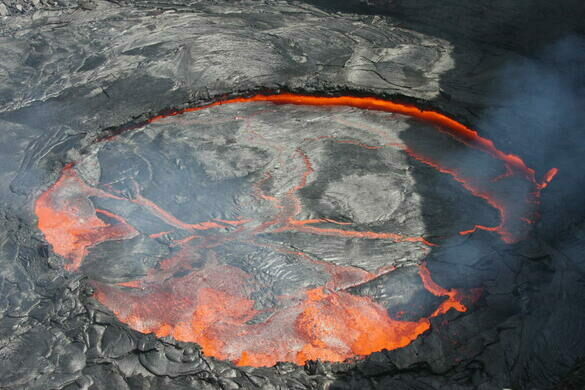 The lake goes through cycles and will cool, form a black layer on top, and then suddenly convect back into liquid lava. 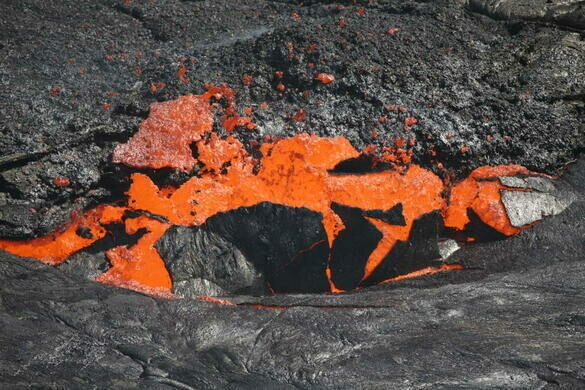 Occasionally, due to pressure, “fountains” of lava will form, spewing lava in 6- to 13-foot-high plumes. The volcano itself has erupted in 1873, 1903, 1940, 1960, 1967, and 2005, when it killed hundreds of livestock and forced thousands to flee. 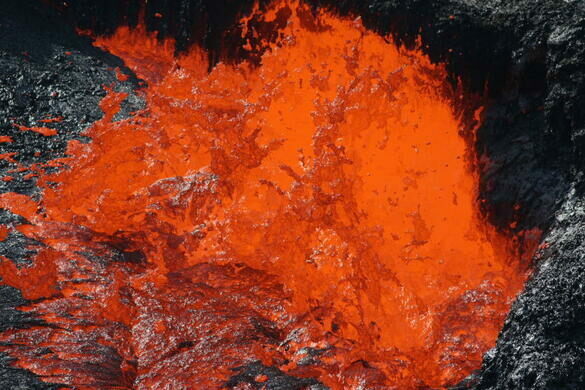 In 2007 lava flows once again forced evacuation and two people went missing, and were presumably killed. Recent reports indicate that the level of the lake has gone down significantly and the lava is now obscured from view by smoke. 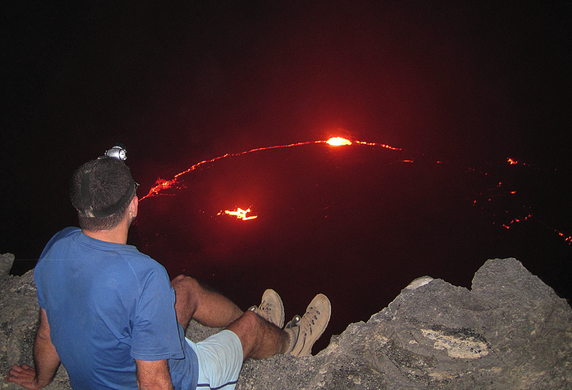 Check with recent visitors (not tour companies) before you go or you may be surprised when you’re unable to see the lava you’ve been seeing in photographs. Reaching the "Church in the Sky" requires scaling the cliff face of a sandstone pinnacle with a 650-foot drop. An ocean in the making, in the Ethiopian desert. Supposedly this Ethiopian chapel holds the Ark of the Covenant, guarded by virgins who cannot leave the building. An arresting arch punched straight through a mountain provides one of the most scenic spots, and challenging climbs, on the planet.